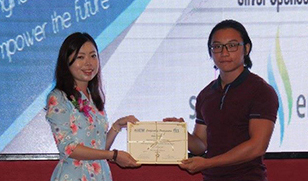 The IEM-UNMC Student Section was awarded ‘Outstanding IEM Student Section’ at the IEM-YES National Summit 2017 that was held in Miri, Sarawak from 20 – 23 July 2017. The event was organised by The Institution of Engineers Malaysia Young Engineers Section (YES). Representatives from The University of Nottingham Malaysia (UNMC) were Alvin Chiew Jing Jie and Grace Yeyen Chin, who are the current Chair and Vice-Chair of the Student Section Committee (2017/18), respectively. 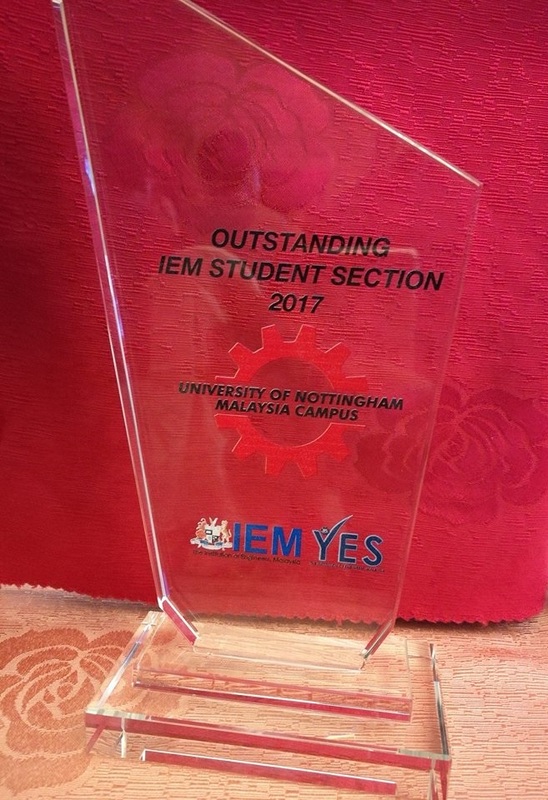 In April this year, the Student Section was also awarded ‘Best Academic Society 2016/17’ by the Students Association at UNMC. The Student Section was officially launched on 5 April 2016 and comprises student members from the Faculty of Engineering; namely Chemical and Environmental Engineering, Mechanical, Materials and Manufacturing Engineering, Civil Engineering, Electrical and Electronic Engineering, Mechatronic Engineering and Foundation Engineering. The Student Section organises regular activities, including industrial talks and visits and several other major events, such as Engineering Career Day, Engineering Carnival Week, Chem-E-Car Competition and the UNHCR-BlueSky Mobile Tutor Project.